It is a new day at Wellspring where exceptional care is provided to every resident. Wellspring offers a wide spectrum of services that cover the full continuum of nursing care. Additional services are also provided to ensure each resident improves or maintains their functional ability to achieve an improved quality of life. Wellspring's full complement of cutting edge rehabilitative services are offered at our Rehabilitation Center. The Rehabilitation Center is a separate wing in our building dedicated exclusively to the comfort and needs of our short-term rehab. guests. Our ultimate goal is to restore every guest to his or her optimal level of health and wellness. Designed to help patients recover from surgery or acute illness, our highly specialized, comprehensive, rehab. program encourage healing 24 hours a day. Our attentive team of therapists assess individual conditions and abilities and addresses personal recovery goals, allowing guests to return home as quickly and safely as possible. Garden Path is a long-term care unit with semi-private rooms that include private bathrooms, cable television, telephone service, and a private dining room. 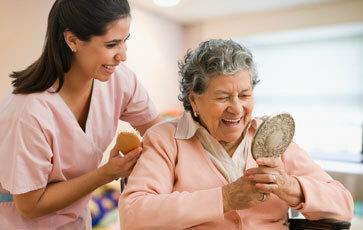 On Garden of Path trained professionals provide skilled nursing care 24/7. Depending on the level of care needed, an individual can expect to receive assistance with bathing, dressing, personal hygiene, eating, moving around, participating in activities, laundry and more. Memory Care at Wellspring goes beyond what is traditionally offered in an assisted living setting. Daily activities specifically designed to address housekeeping, laundry, and meal preparation services are provided but the level of assistance with activities of daily living is increased. Often the daily activities are designed specifically to allow the individual to reconnect with favorite hobbies or interests. 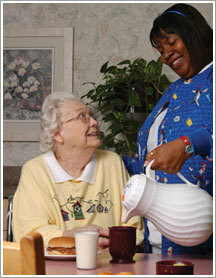 Memory Care offers 24 hour supervised care with meals, activities and health management for residents. Skyview is preparing to to become a certified Alzheimer's and Dementia Unit. Skyview is a secured unit allowing residents to age in place. 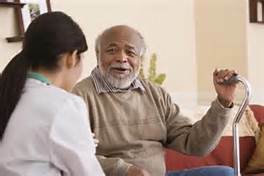 Residents with a diagnosis of mild cognitive impairment to moderate Alzheimer's/Dementia will be appropriately placed according to their ability to actively participate in program and life enrichment activities. As the resident's disease progresses to advanced stages, the practice of continuum of care will allow residents to be moved to a quieter area of the unit that will accommodate the physical, mental and emotional changes of the resident. Hospice services will be made available to any resident if so desired. 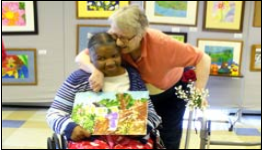 Respite care at Wellspring is a short-term stay program in our memory care community. Respite care is a gret option for an older adult that needs some day-to-day supportive services, but still desires social opportunities, engagement and activities. Respite services are used when the family care-giver needs a break or has to travel somewhere. Also, when a family is considering the placement of their loved one is a senior community, they may choose Respite Care to offer a gradual exposure to senior living communities. DaySpring is one of five state-certified traumatic brain injury programs providing post-acute neuro-rehabilitation to teens and adults that have experienced a brain injury. With the goal of helping each resident return to their place of residence in the community, the multi-disciplinary team will develop a treatment plan with the individual and their family. This plan will be the guide in improving the functional abilities of the patient. 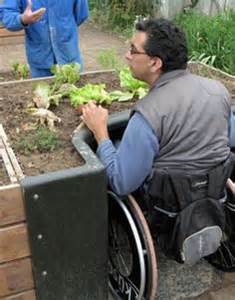 DaySpring is an 18 bed specialty rehabilitation program providing intensive therapy. Therapy services include: physical, occupational, speech, and recreation. A person in the brain injury rehabilitation center will recieve 4-5 hours of therapy services each day. For more information about DaySpring click on the DaySpring tab at the top of the page. 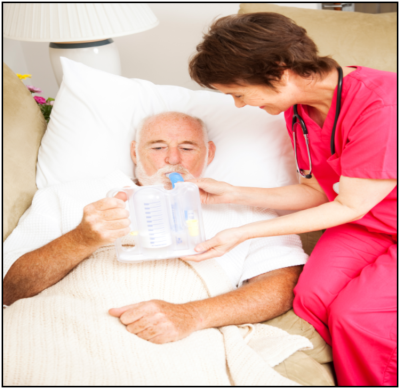 Wellspring of Milwaukee excels in respiratory care with licensed repiratory therapy providing on-site services specializing in trach management, weaning, and support. Wellspring offers an interdiscplinary team approach to maximize the abilities and self-care skills of people who suffer from pulmonary disorders. Our team provides superior disease management through educating residents and care providers to optimize function, understand the disease process and prevent regression. Our team understands the challenges faced when it comes to managing chronic and non-healing wounds. That's why we have partnered with Accelecare Wound Professionals to offer our residents and physicians access to a team of highly qualified wound care physicians trained in the latest wound management techniques. 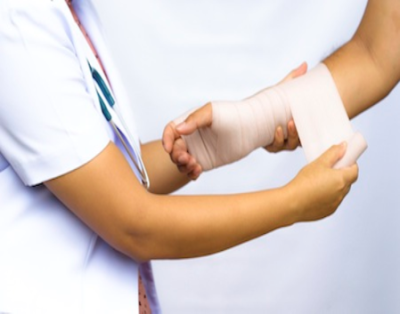 Our in-house wound management nursing expertise in collaboration with Accelecare's physician team ensures the highest quality outcomes for any patient with wounds. When wounds heal, quality of life improves.